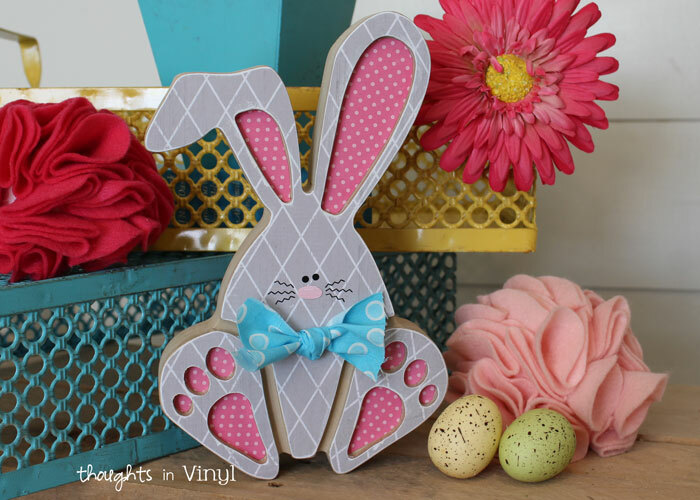 This adorable wooden Easter bunny comes unfinished. It has grooved details cut into the wood for added character. 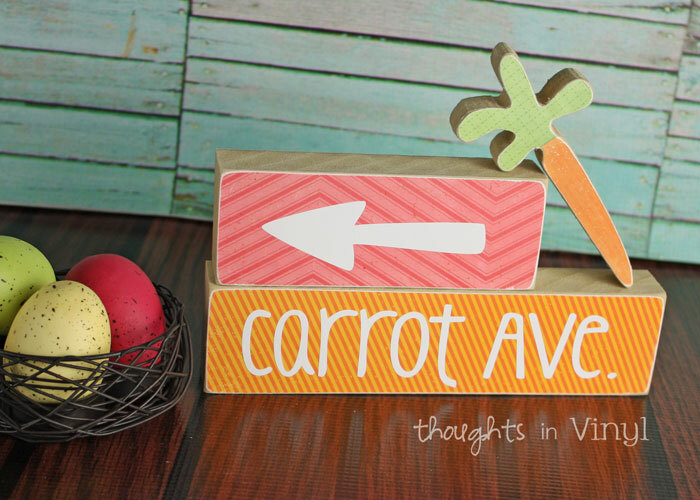 To finish, you could choose to paint or modpodge with some colorful scrapbook paper. So much fun and so adorable! Then embellish with ribbon, etc. We added a big bow tie to ours and when we added the nose, we opted to cut it out of pink scrapbook paper instead of using the black vinyl nose that is included. Hang On! 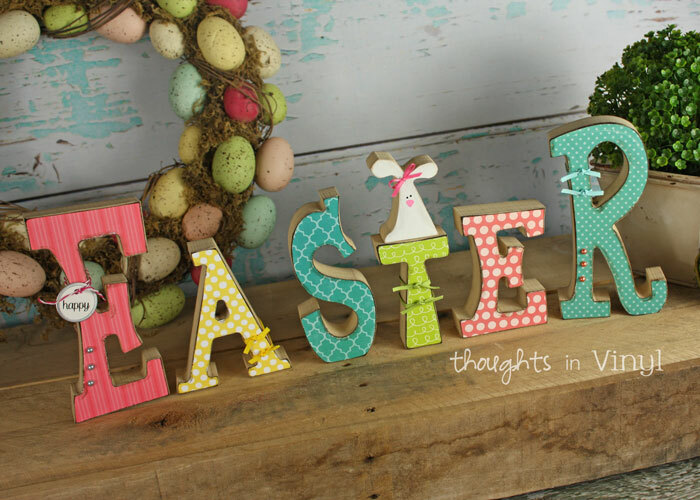 Easter is on its way! 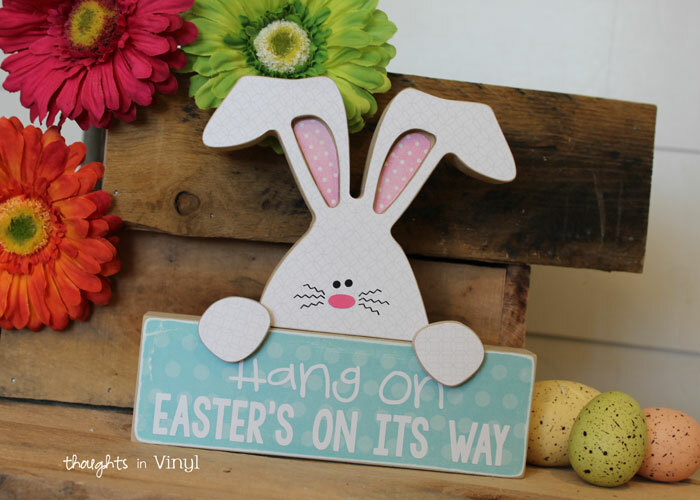 If you’re having a hard time waiting, make some Easter crafts! 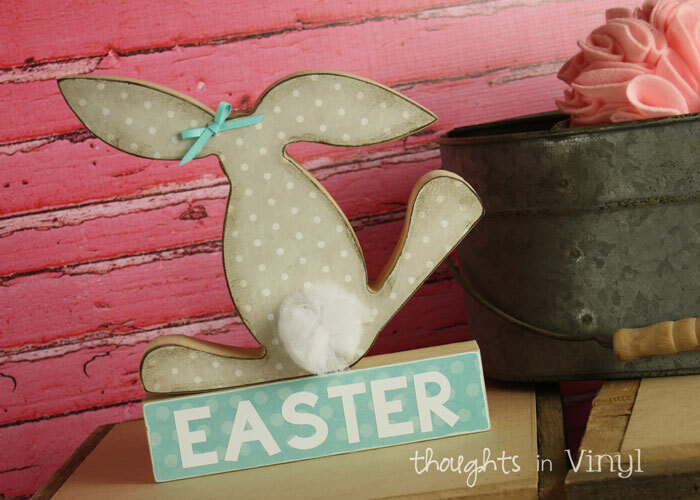 This sweet little bunny is perfect for all those who can’t wait for Easter to come. 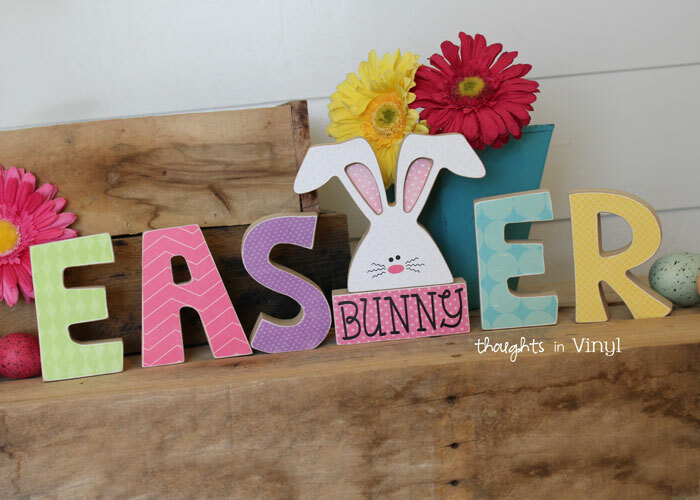 This is such a cute and simple Easter craft. 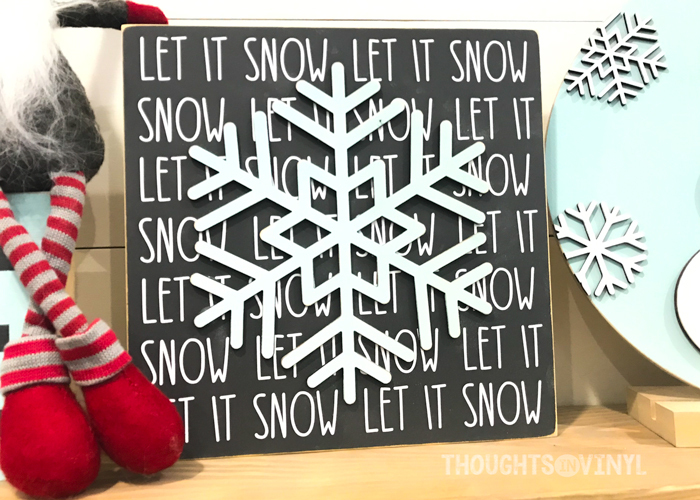 It comes unfinished, so you can choose the paint or scrapbook paper to finish this craft. 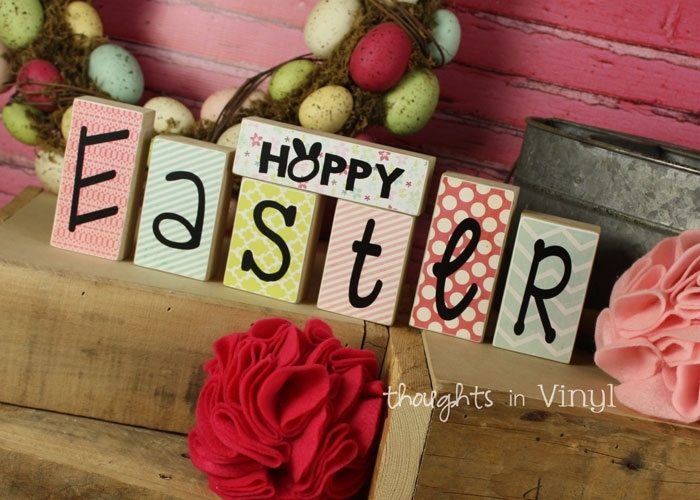 Glue the pieces together, apply the vinyl, then embellish with ribbon, etc. 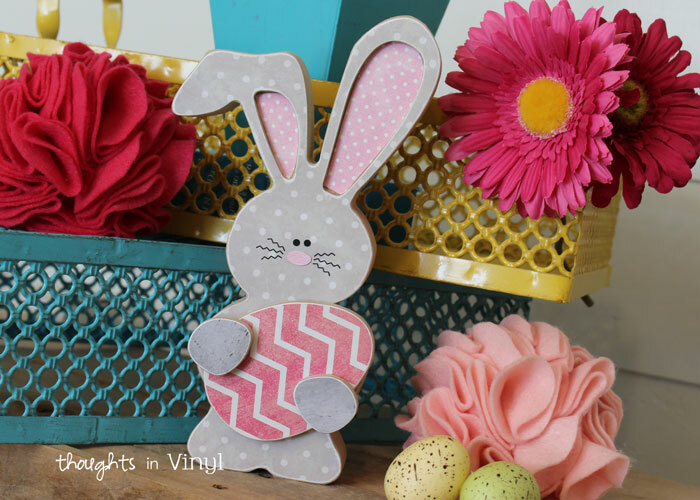 This adorable wooden Easter bunny comes unfinished. It has grooved details cut into the wood for added character. 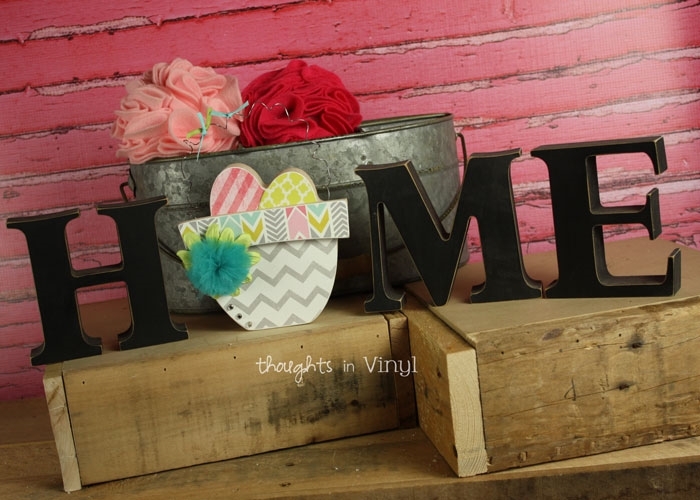 To finish, you could choose to paint or modpodge with some colorful scrapbook paper and then glue the pieces together. So much fun and so adorable! Then embellish with ribbon, etc. When we added the nose, we opted to cut it out of pink scrapbook paper instead of using the black vinyl nose that is included. 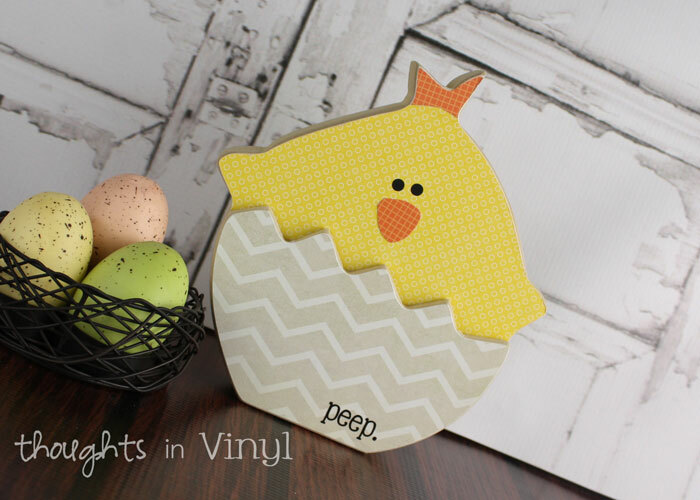 This adorable little baby chick would go perfectly with your Easter and Spring crafts. It comes unfinished and ready for your creative touch. This little guy comes with orange vinyl for its beak, but to give it a little more detail we stuck the beak to the backside of some orange scrapbook paper and then cut around it and modpodged it in place. We also topped the little fluffy head feather off with matching scrapbook paper. These darling Easter eggs come unfinished. They each have a grooved detail cut into them. 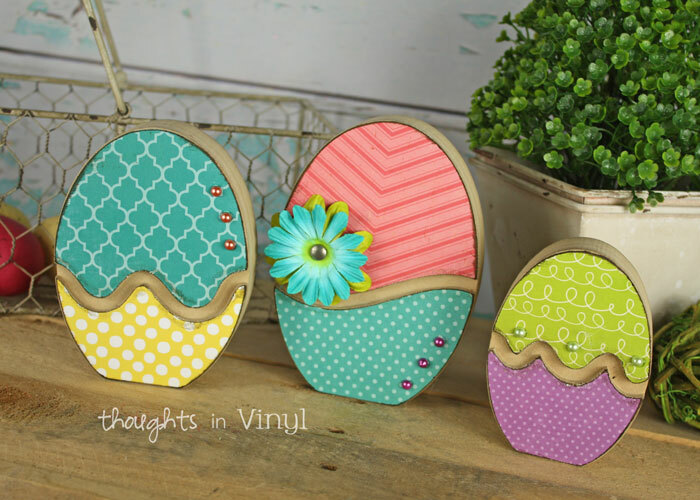 Paint or modpodge them with some colorful scrapbook paper. So much fun and so adorable! Then embellish with ribbon, glitter, jewels, ect. 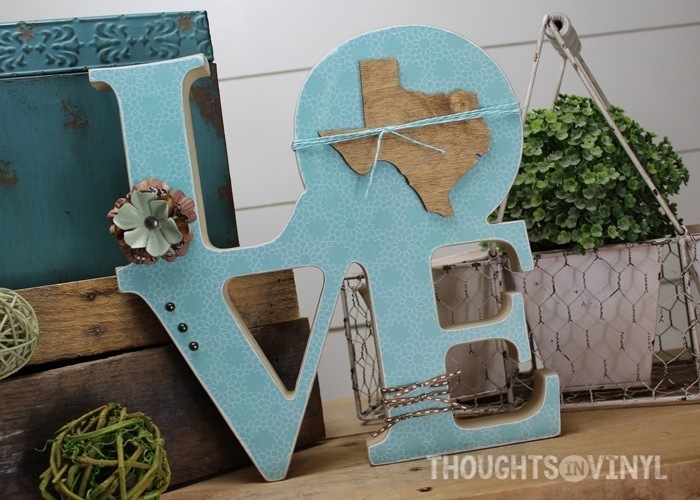 These darling wooden letters come unfinished and ready for your creativity. 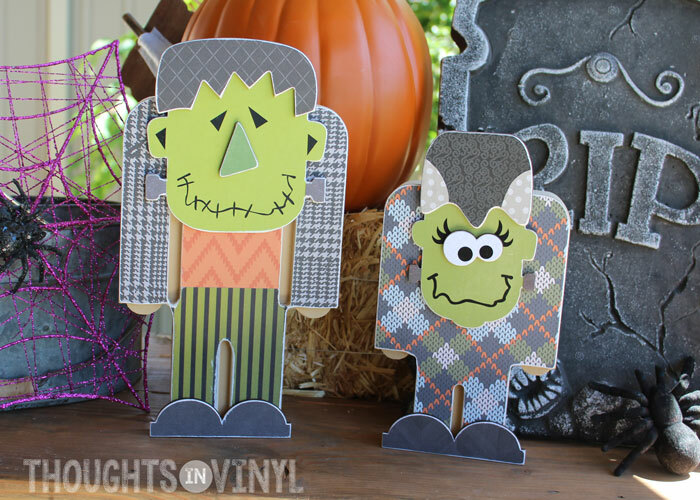 Decorate them with paint or scrapbook paper and modpodge. Then you can embellish them to make them over the top adorable! These would be so much fun to do with a group of friends! This is adorable! The wooden basket and block come unfinished and ready for your creativity. 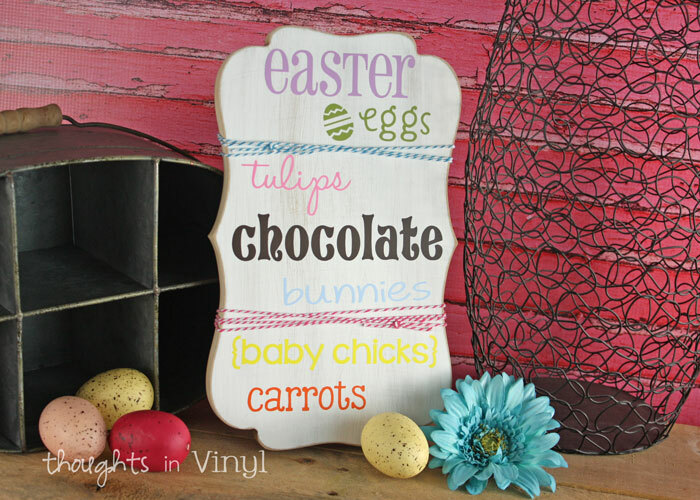 Finish them up with scrapbook paper or paint and then embellish with ribbon, etc. These would be so much fun to do with a group of friends! You can even drill holes in the basket and add a wire handle (as pictured) if you choose. This is adorable! 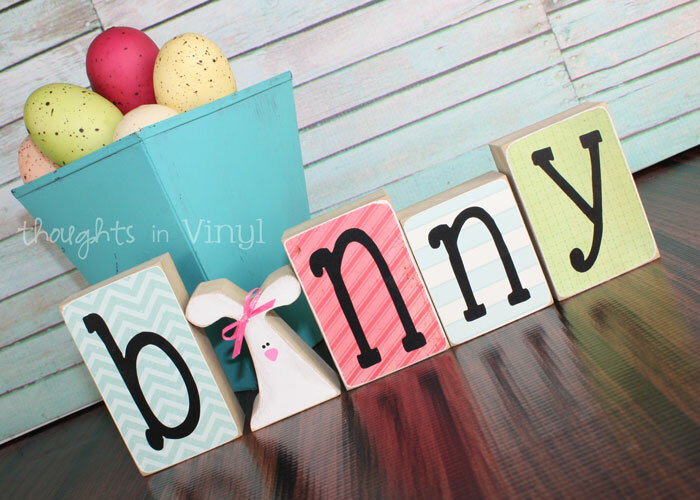 The wooden bunny and block come unfinished and ready for your creativity. 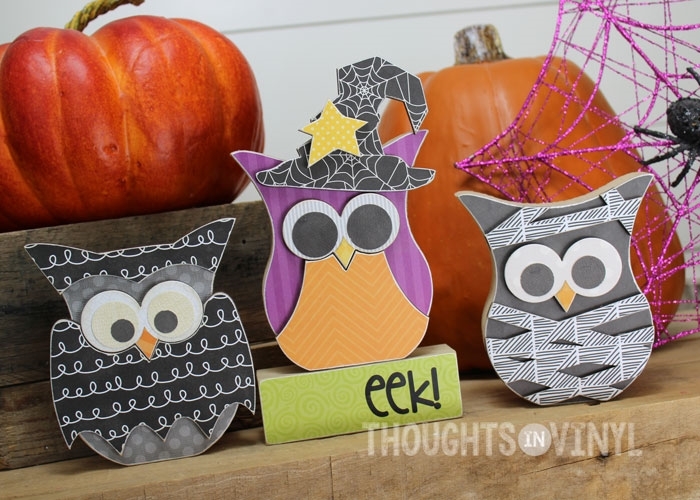 Finish them up with scrapbook paper or paint and then embellish with ribbon, etc. These would be so much fun to do with a group of friends! 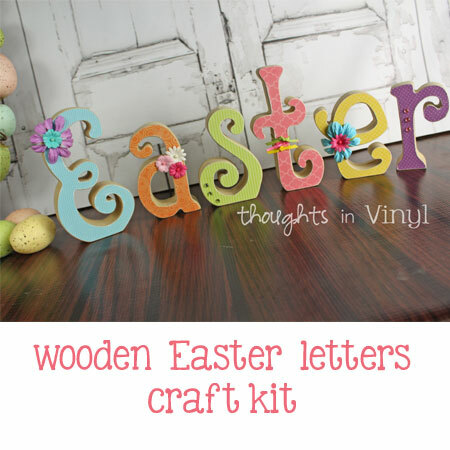 These darling wooden letters come unfinished and ready for your creativity. 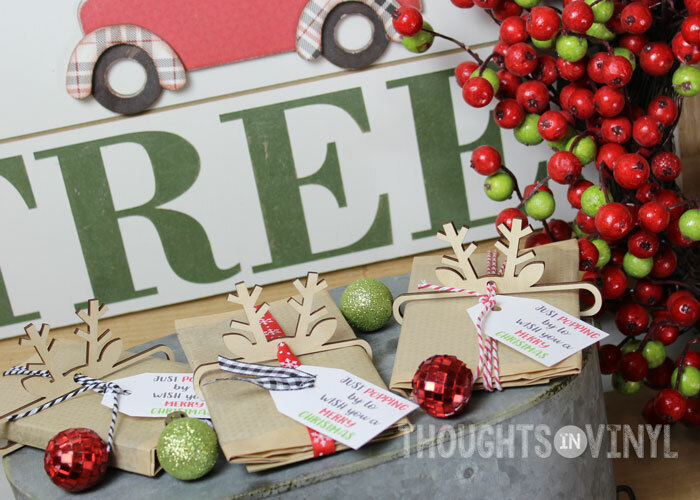 Decorate them with paint or scrapbook paper and modpodge. 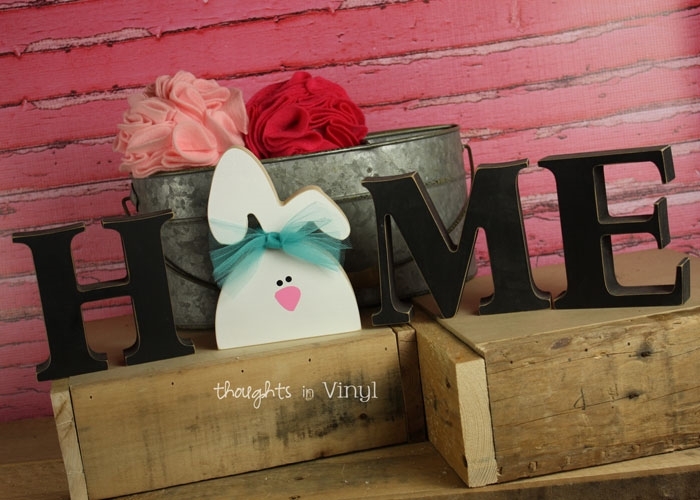 Then you can embellish them to make them over the top adorable!We added a cute fluffy bunny tail! 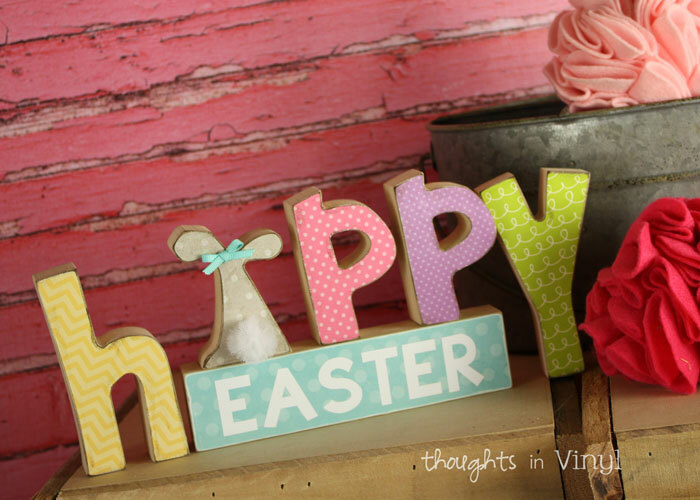 Another adorable set of Easter letters! 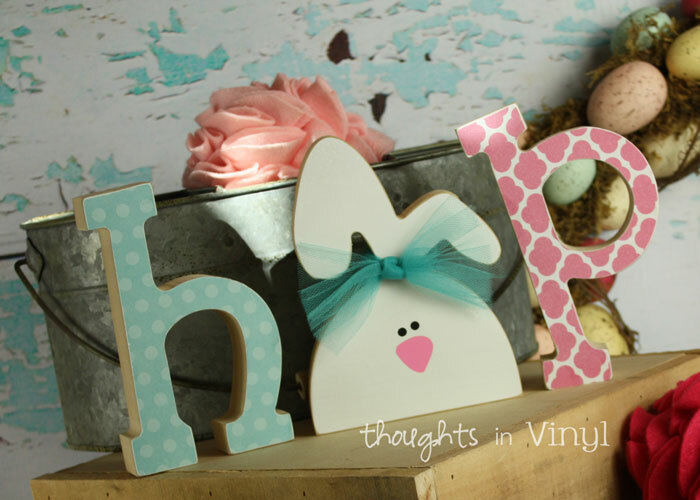 The cute little bunny on top just adds a sweet touch to this cute craft! 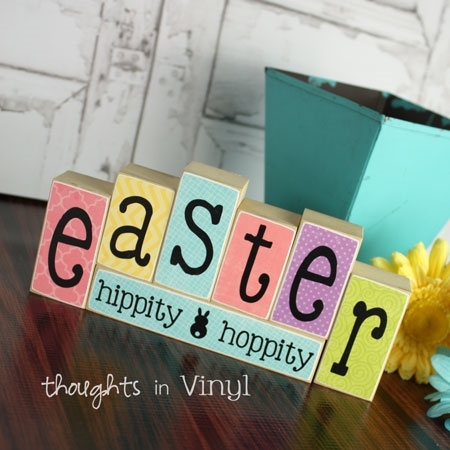 Paint the letters or modpodge them with some colorful scrapbook paper. So much fun and so adorable! Then embellish with ribbon, glitter, jewels, ect. 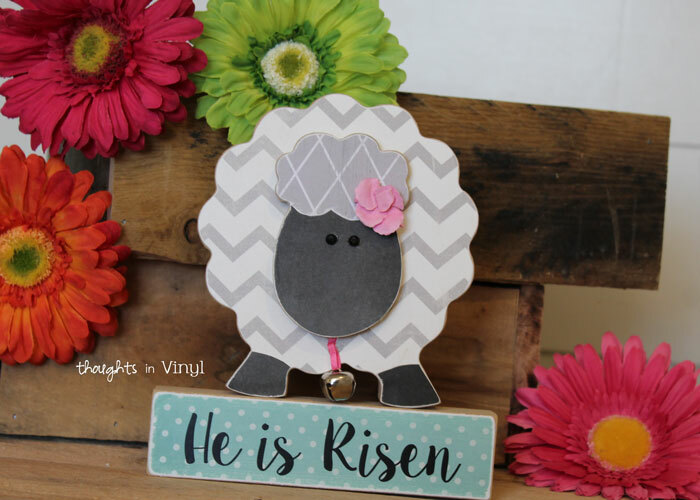 This darling Easter craft comes unfinished. 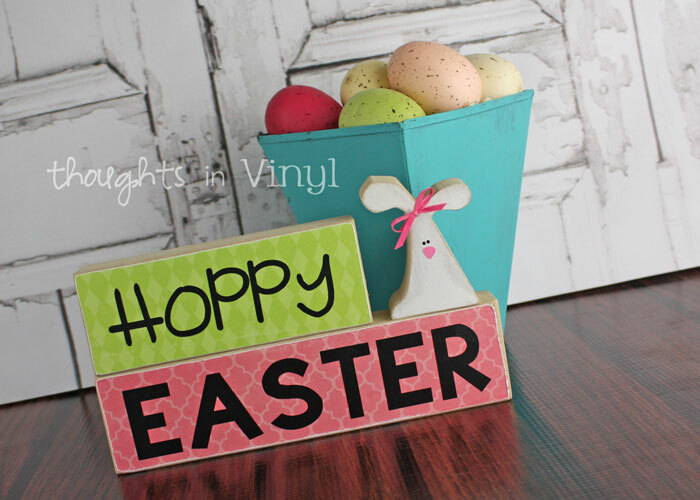 It comes with the different vinyl colors as pictured and a cute wooden shaped board to put it on. 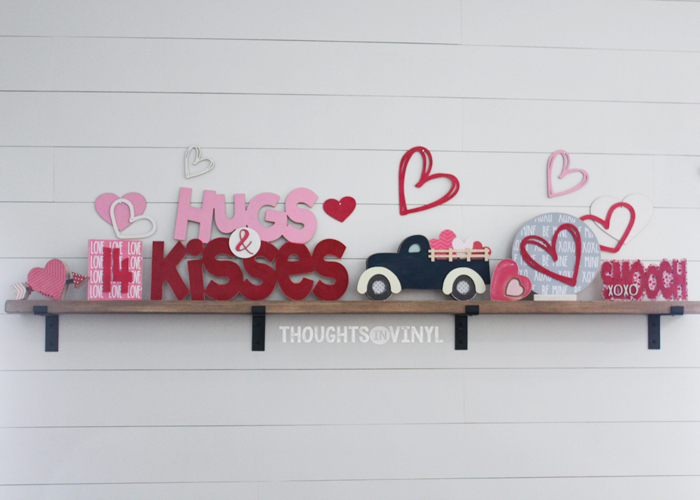 You can paint the board or modpodge scrapbook paper on to it. Then embellish…we kept ours simple with some bakers twine. You will be able to finish this craft with your own personality! Paint or modpodge scrapbook paper onto it to fit in with your own style and taste. If purchased, the blocks come unfinished. 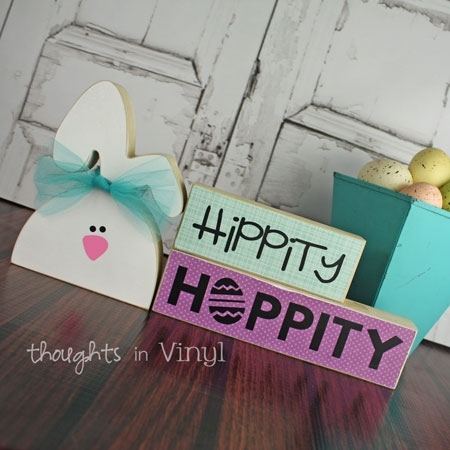 Simply paint them or modpodge some fun colorful scrapbook paper onto each block and then apply the vinyl. 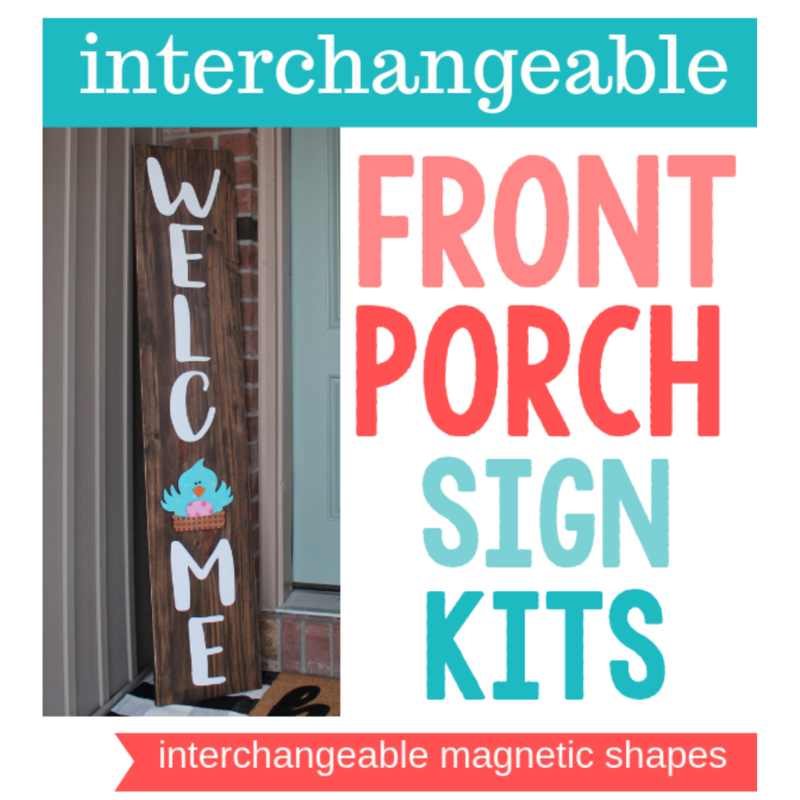 You can even make this craft reversible! We have lots of layouts to choose from for just about every season and holiday! 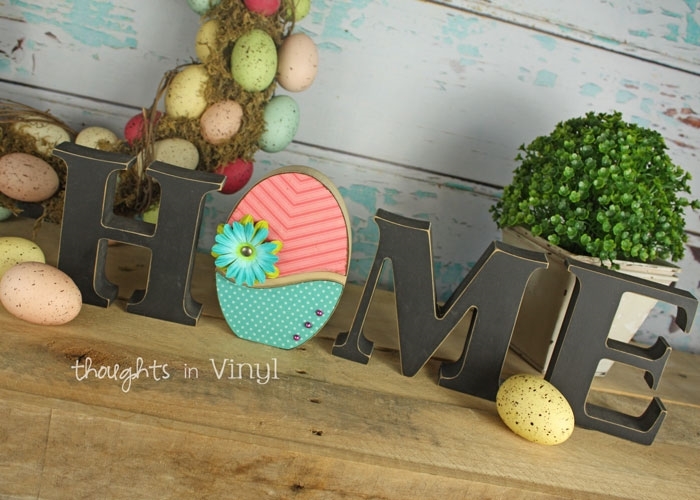 This adorable Easter egg is covered in bead board for a fun layer of texture. 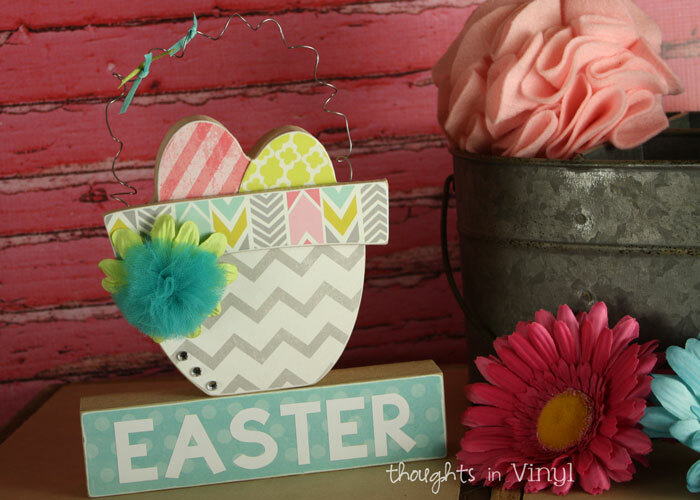 You can simply paint the egg, or modpodge scrapbook paper onto it for a one of a kind look. 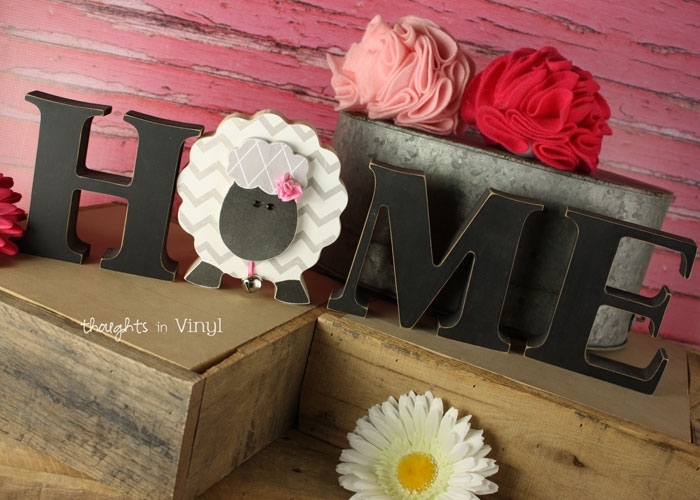 This craft is an “O” insert for the DIY Interchangeable Home Letters. 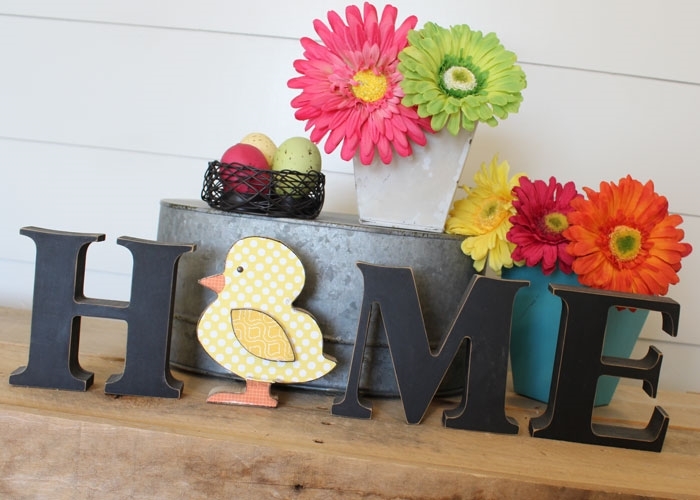 We’ve added a new font for the HME letters called Crafty Casual. Check them out…the letters are sold seperately here. 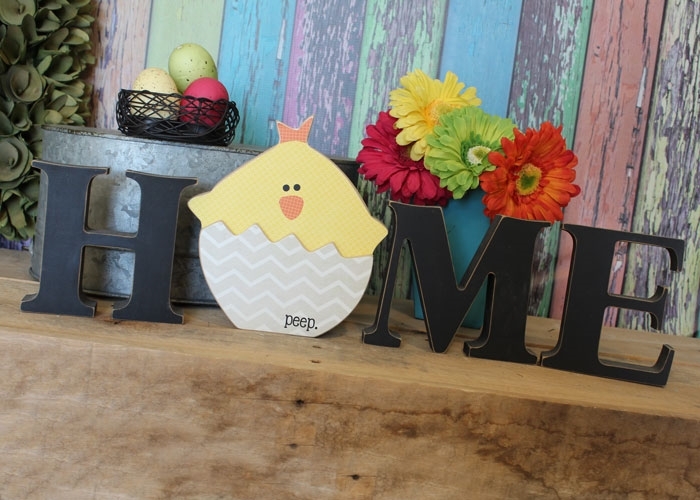 You simply purchase one set of HME letters, and then as many inserts as you would like. More inserts are found here.